Jamie Green earned the title of entrepreneur at a young age, having launched and sold three businesses before reaching the age of 24. But just six months after starting up his fourth business, things took a turn for the worst. Before long, Jamie found himself in massive debt and sleeping rough; this is where his passion for tackling youth homelessness began. Could you tell us a little about yourself, your past and how you went from top of the entrepreneurial ladder to a very different place? From the age of 17, I have been labelled an entrepreneur, having started and sold three businesses before the age of 24. When I launched my fourth start-up, it was the first time a business of mine had gone wrong. Six months down the track I was flat broke, had sold everything I owned and could no longer afford to pay my rent. I started sleeping on my cafe floor and couch surfing at friends’ places; this went on for about six months. At first I didn't think too much about it – I guess I just saw myself as a struggling entrepreneur, but after a month or so, I was really starting to struggle – it really made me think about how easy it is to slip through the cracks. Fortunately, I was incredibly lucky, and someone did eventually offer to buy the café – I sold it of course, which enabled me to pay off my debts and start fresh. Getting back on my feet was the beginning of my strong passion for tackling youth homelessness; I wanted to do something about it. It’s really inspirational to hear how you transformed your situation, with the determination to take your experiences as ammunition to create change. How did you get started? I looked into starting a not-for-profit and also becoming a social worker, but I still had a driving passion to be an entrepreneur and start a businesses - I was just a little lost as to what to do next. But it was after reading Richard Branson’s book, 'Screw Business As Usual' that I learnt about social enterprise. It inspired me enough to put my entrepreneurial hat back on, but with a new focus; I found that the best way for me to help homeless youth was through my own social business that works to assist the non-for-profits and charities already working in a similar space. I created the idea of selling sleepwear to support young people sleeping rough. 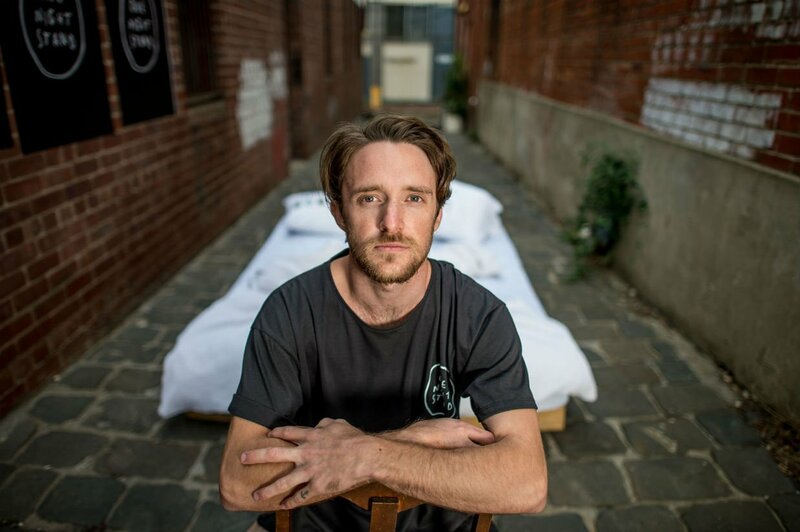 After receiving a $25,000 scholarship into The School for Social Entrepreneurs here in Melbourne, Australia, the idea grew into what is now known as One Night Stand Sleepwear. Love the idea – how does it directly support young people sleeping rough though? We exist to create awesome sleepwear while supporting young people sleeping rough. 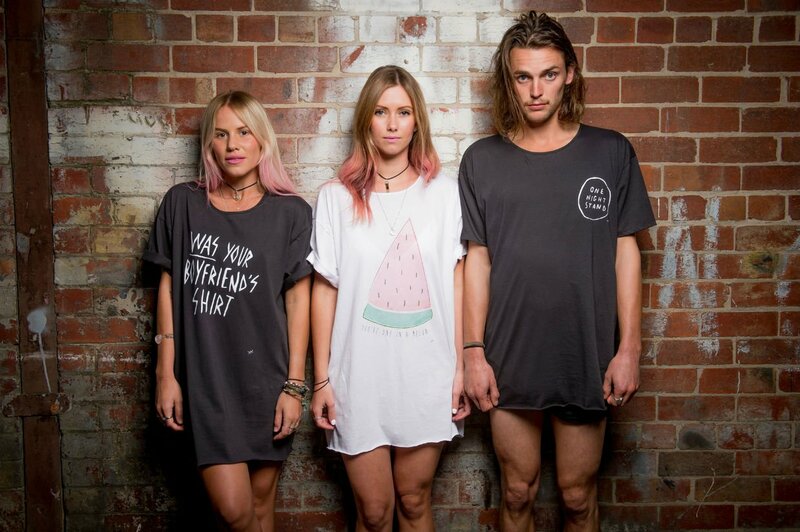 To do this, for every purchase of awesome sleepwear, we provide a meal and employment for a young person in need. For the meals, we provide food vouchers through our charity partner here in Australia, Open Family. And for employment, we're implementing the employment services of Open Family into the running of our business. Their pick-and-pack department provides young people with a job, regular training and ongoing support from a social worker to get them back on track. So today is the big launch of your new range of sleepwear, how are you feeling about it? Well, we ‘rolled out of bed’ in 2013 with a bit of a soft launch, flirting around with a bunch of great people. Now we are ready to take things to second base and start creating some real impact. Here are our newly launched products…what are you going to buy first? Changing your entrepreneurial mindset from a goal of reaching high revenue, to the goal of creating revenue through making impact, is the only way we’re going to see positive change on a mass scale. Jamie’s new venture is not only exciting and creative, but has the potential to make a real difference to young people sleeping rough. Have a look at his website for more details. Starting today, Jamie will be taking the brand name, ‘One Night Stand’, literally and will be standing for 24 hours straight inside a transparent box, in a bid to create awareness for his business and its cause. 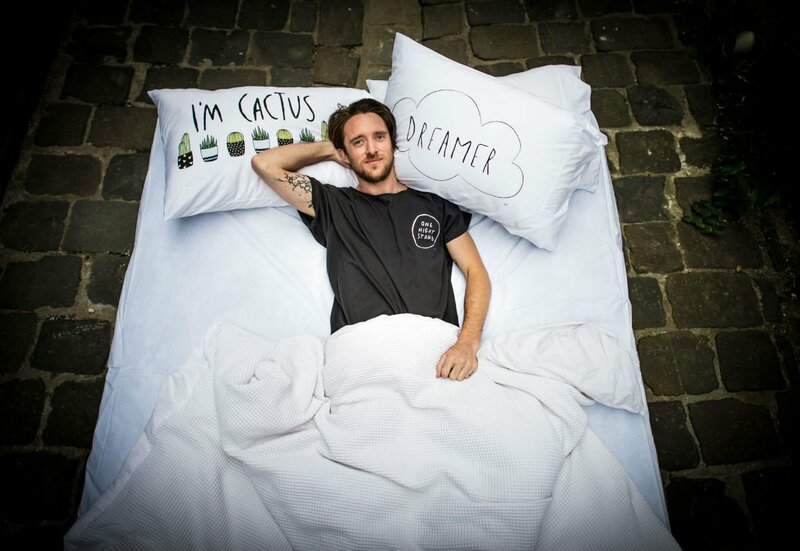 Through the support of ING DIRECT's Dreamstart initiative, the event will take place outside Grill'd Degraves Street Melbourne store, Australia. If you're local, make sure you say hi to Jamie, and if you're interstate or international then you can follow the livestream on their website.